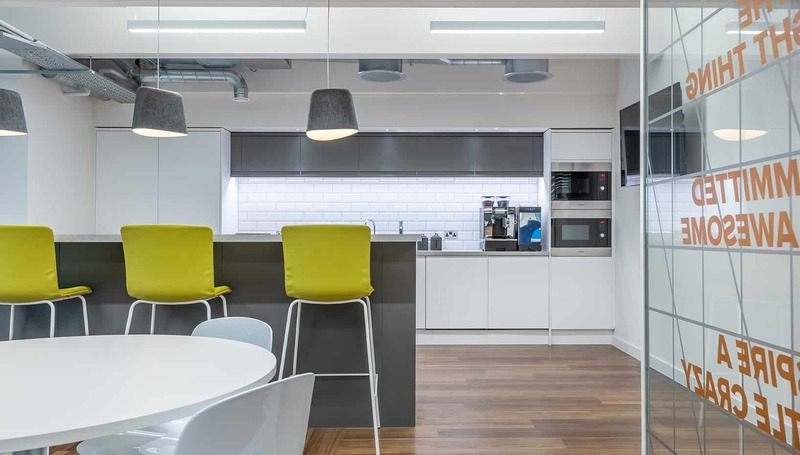 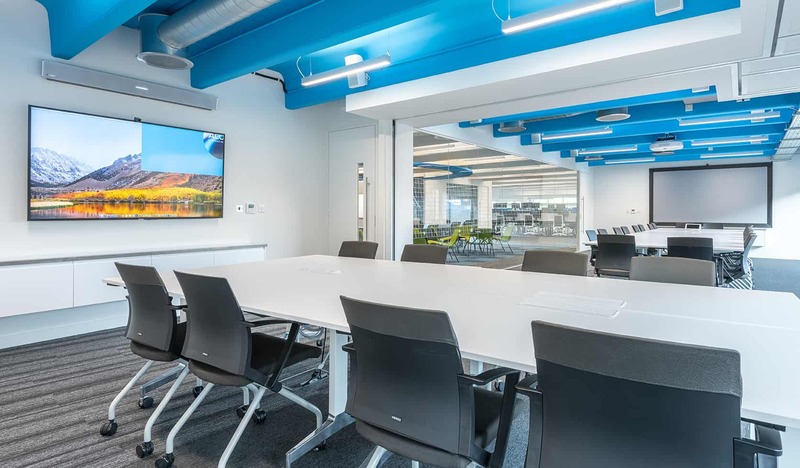 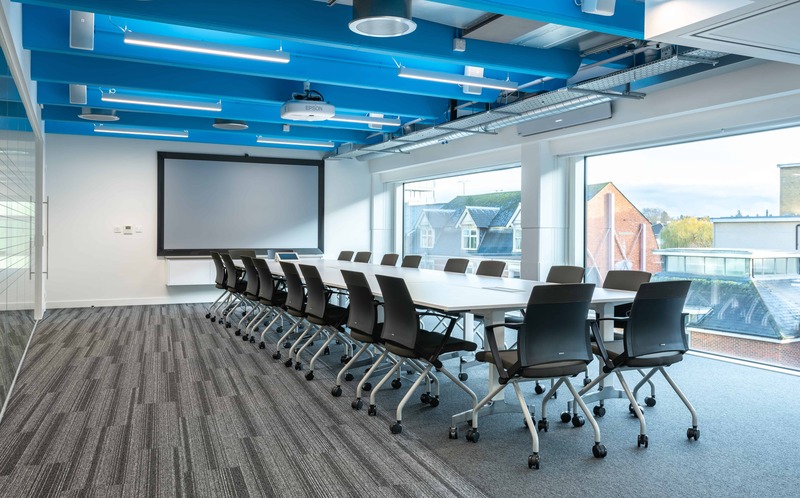 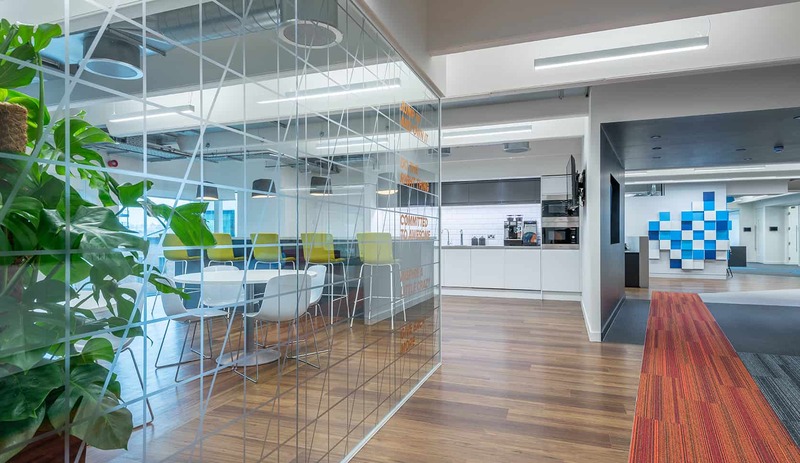 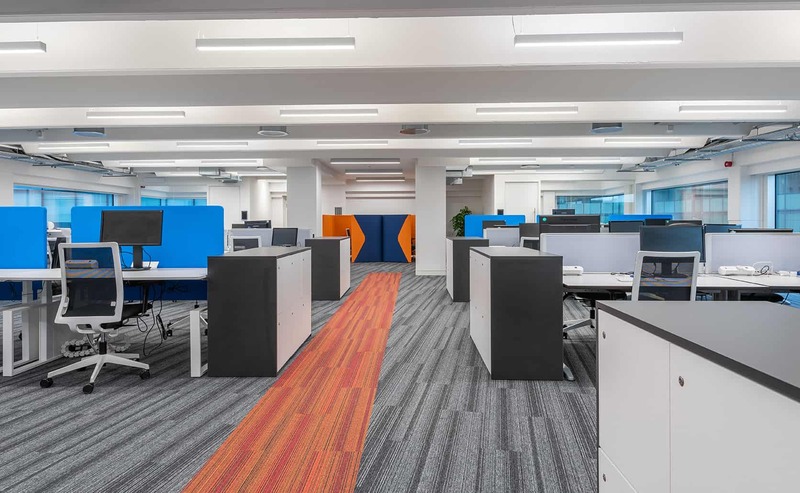 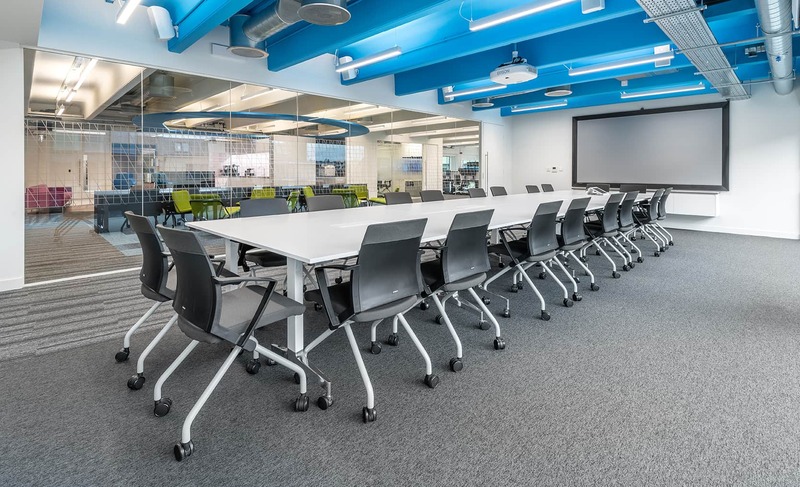 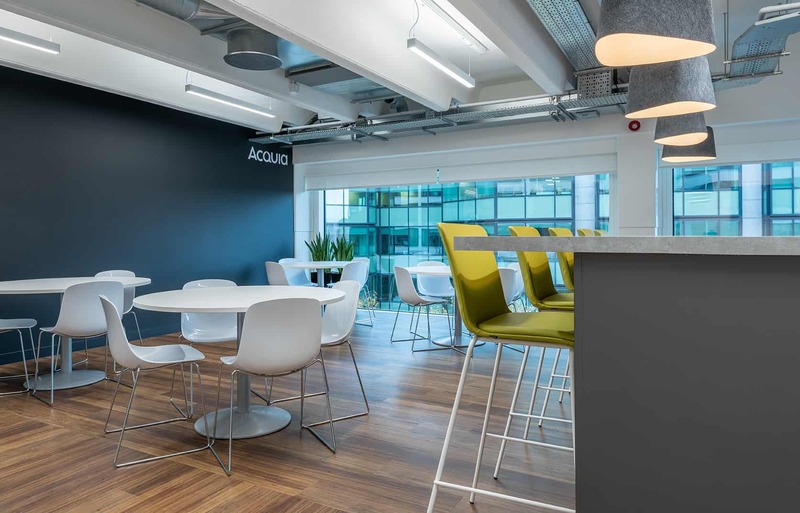 Prior to starting on site, Space worked with Acquia over a two month period to develop a scheme for their new space in The White Building, Reading. 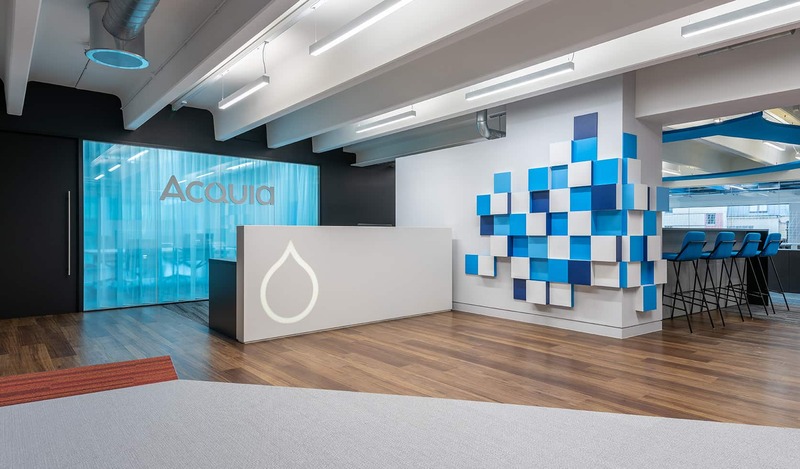 Working closely with the Acquia Boston team, a design was developed that reflected both the collaborative and visual nature of the business. 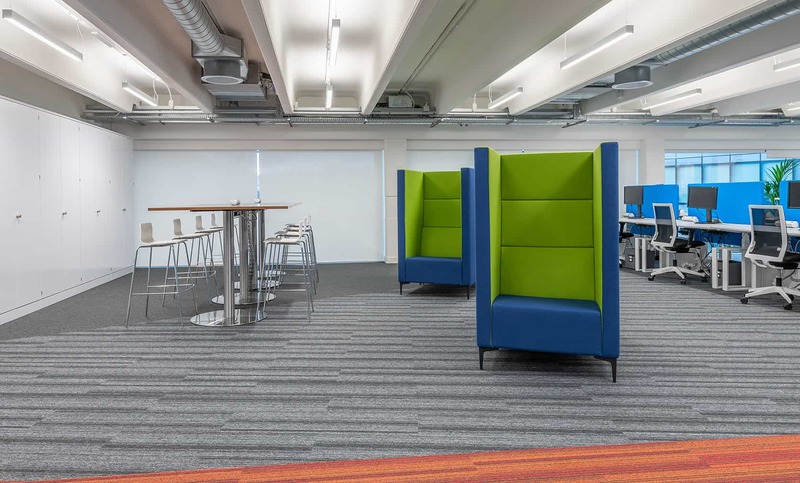 Areas for town hall meetings, informal breakout and training formed the central hub of the office. 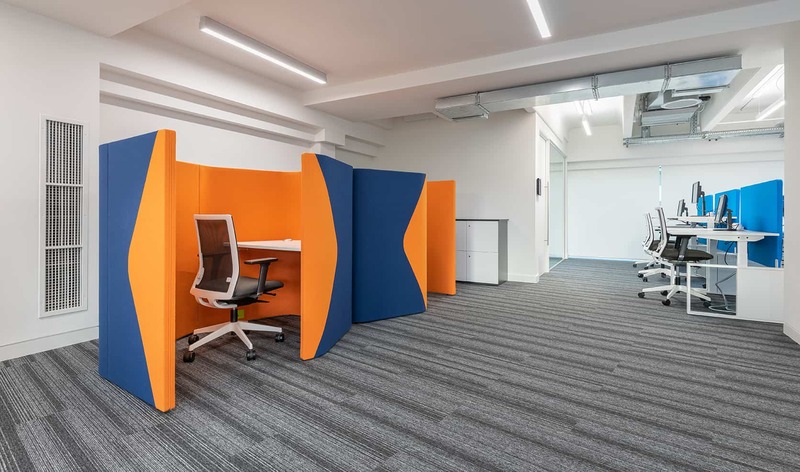 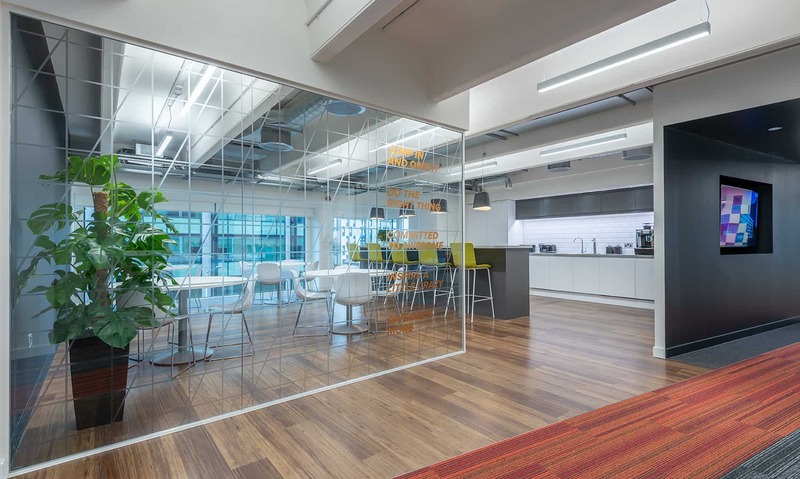 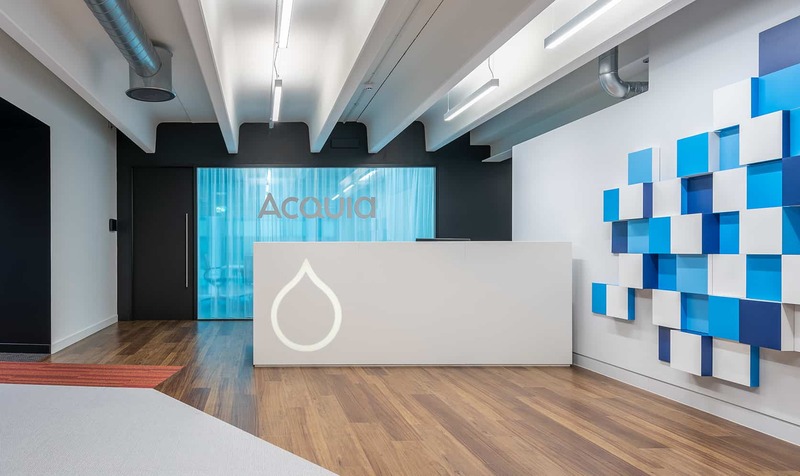 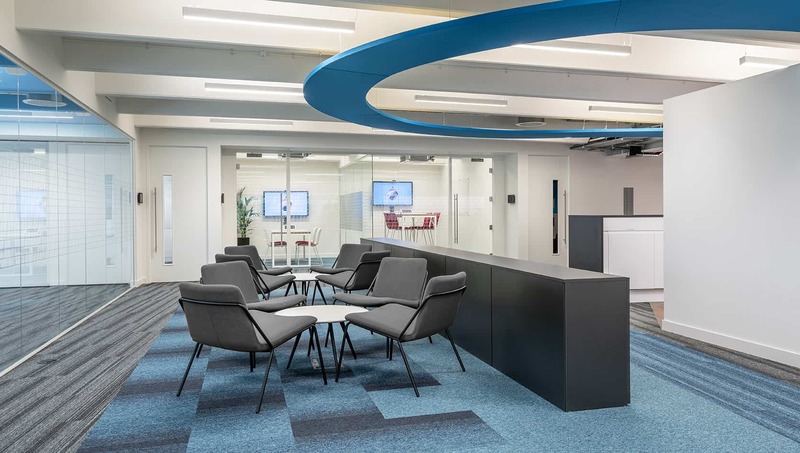 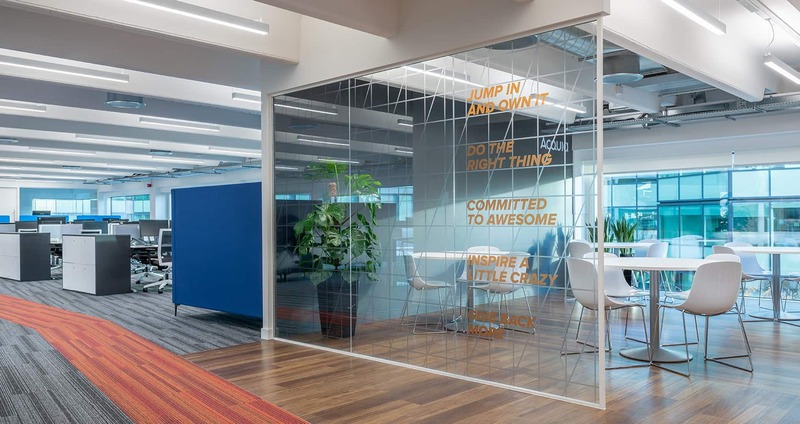 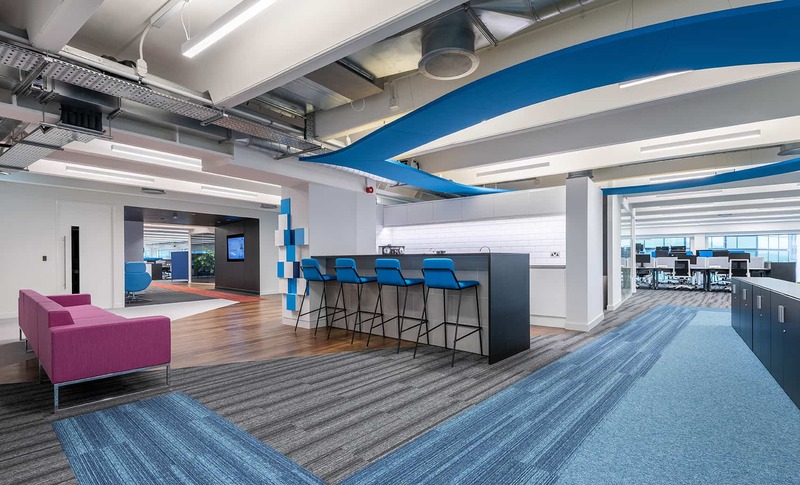 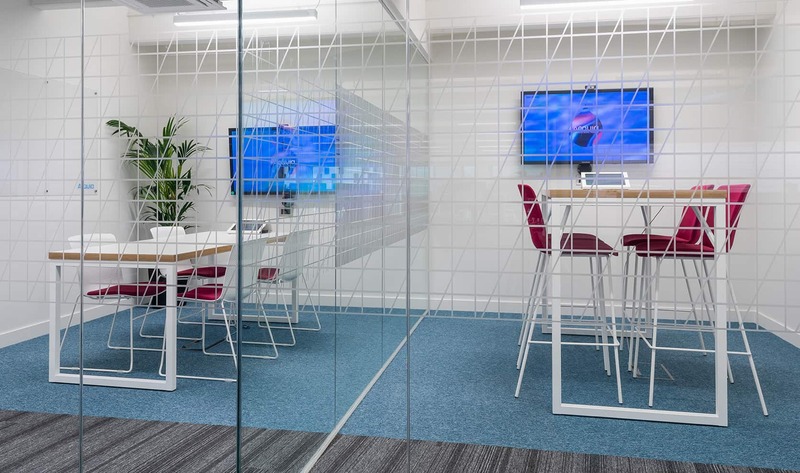 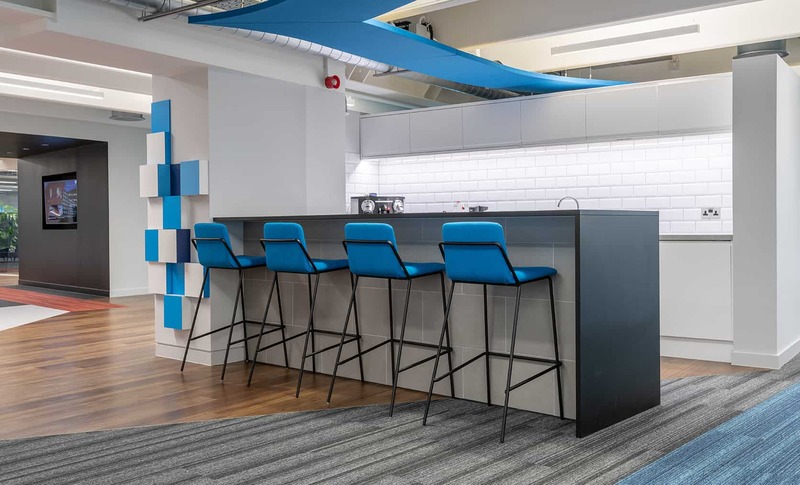 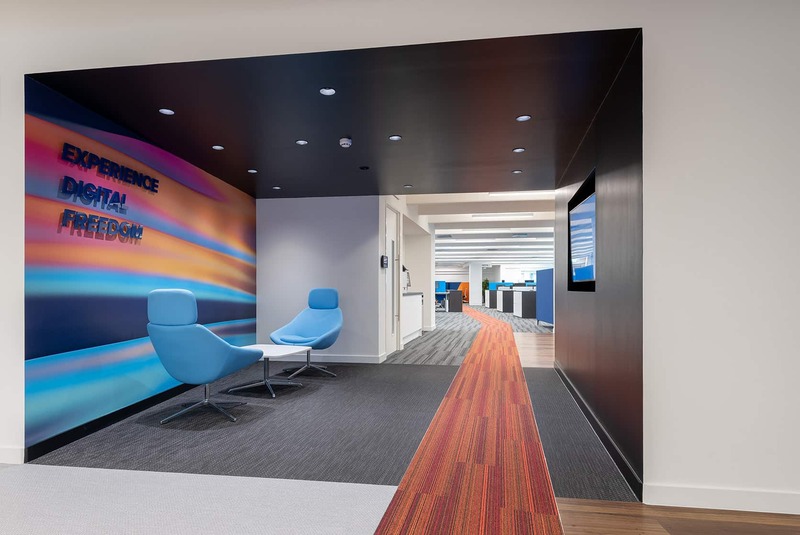 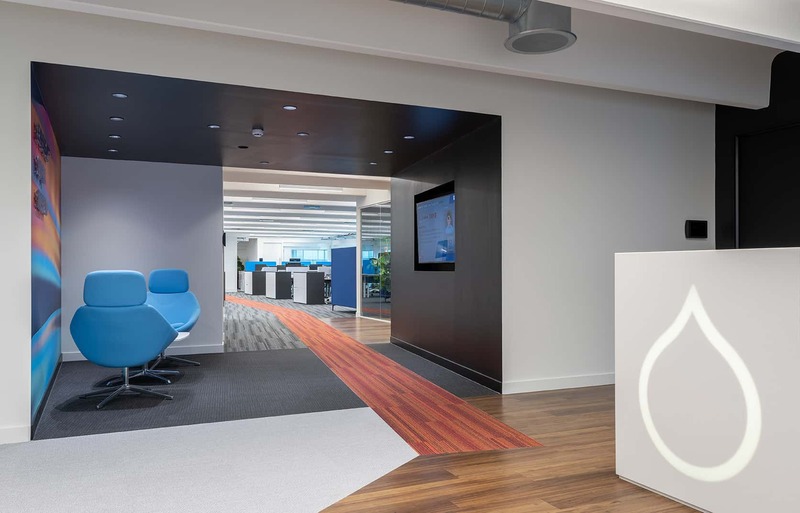 The Acquia brand identity strongly influenced the choice of finishes and colours, the drupal motif being used both overhead in acoustic panels and within the reception joinery. 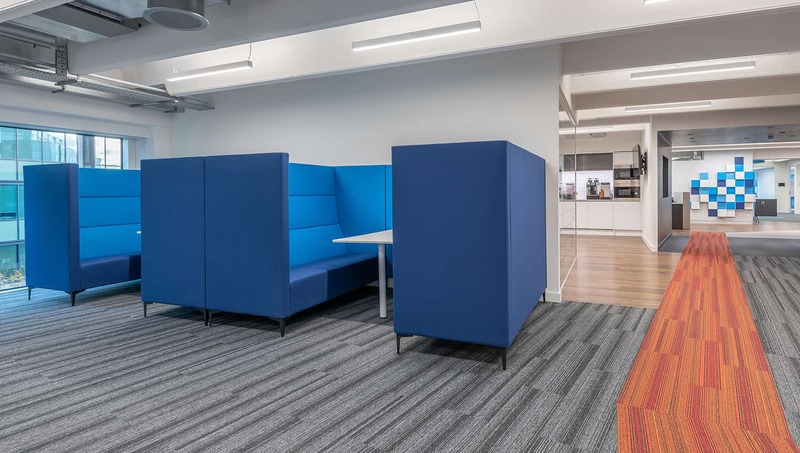 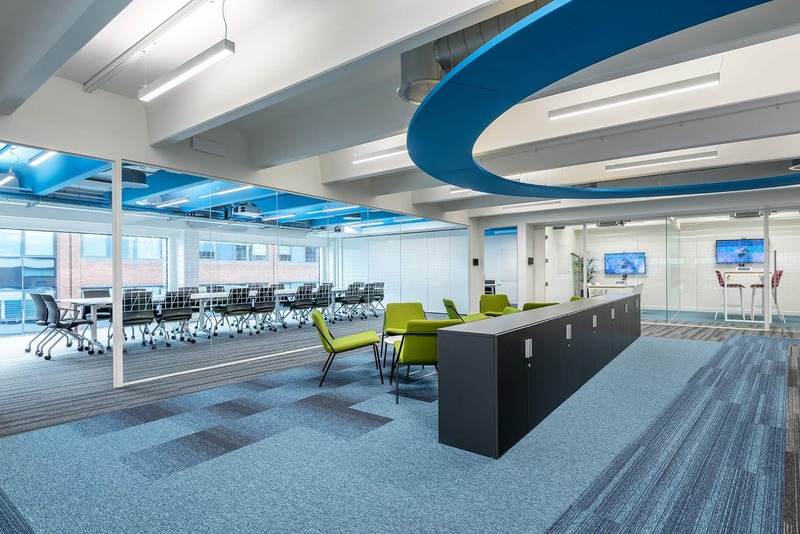 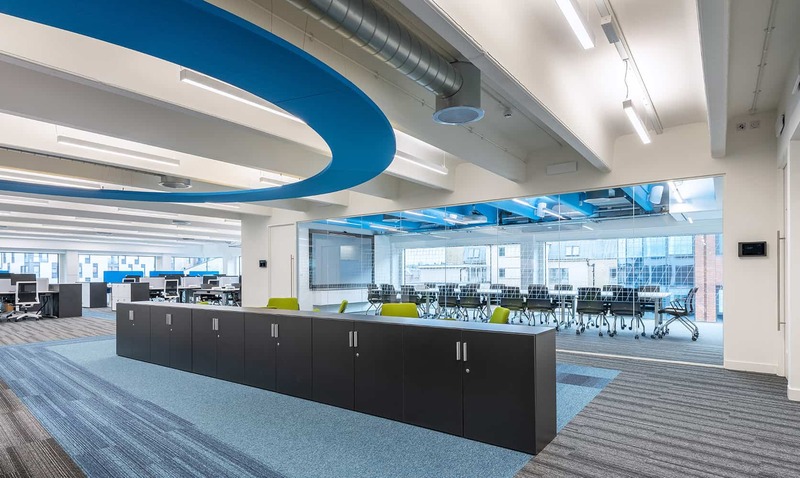 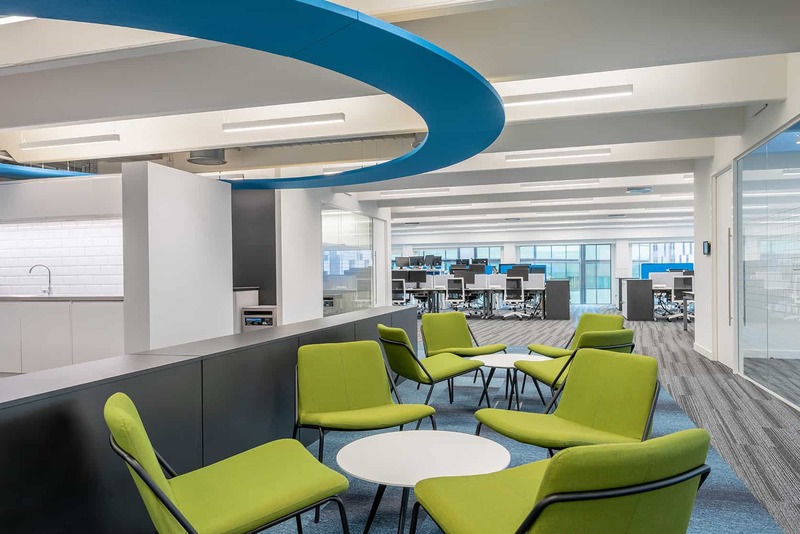 The work areas included a mix of sit-stand workstations, upholstered meeting pods and quiet work rooms. 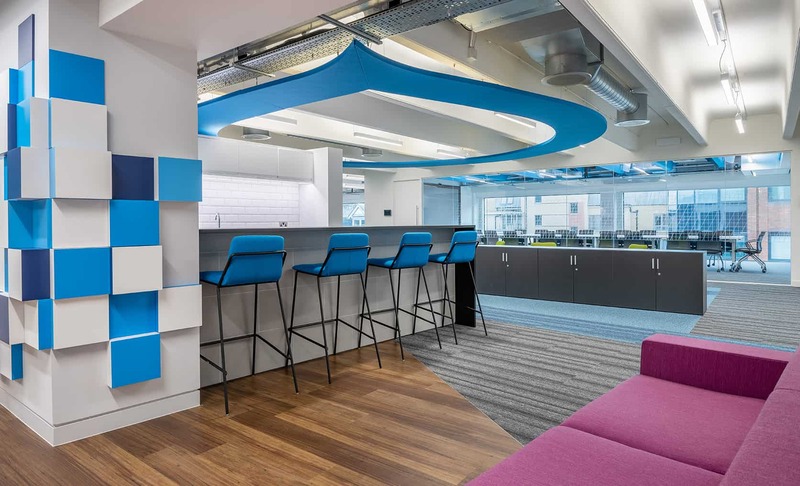 The project was completed within the agreed 7 weeks on site. 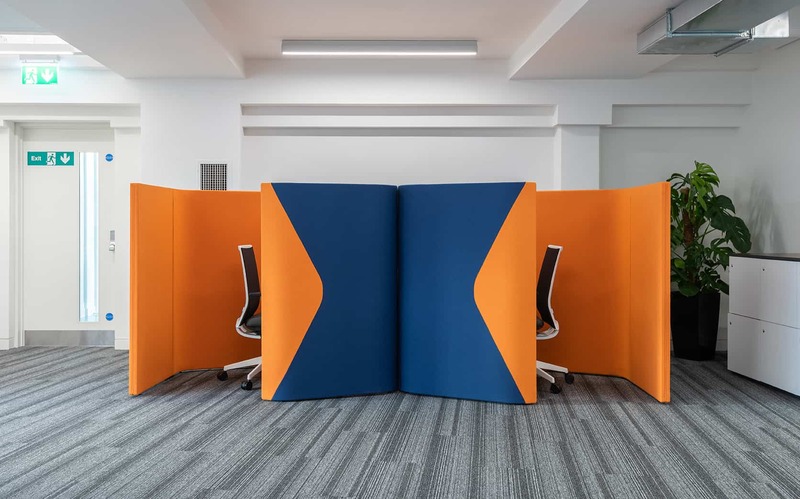 The Space team were so great to work with! 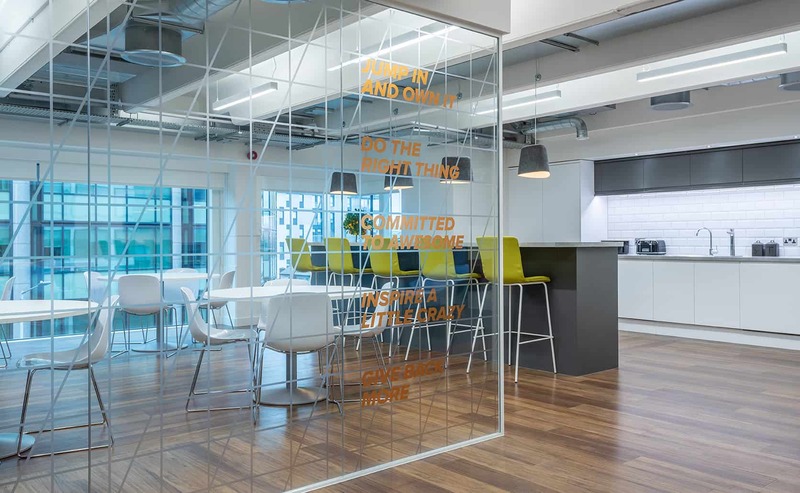 Their focus was always on us as the client and the end result. 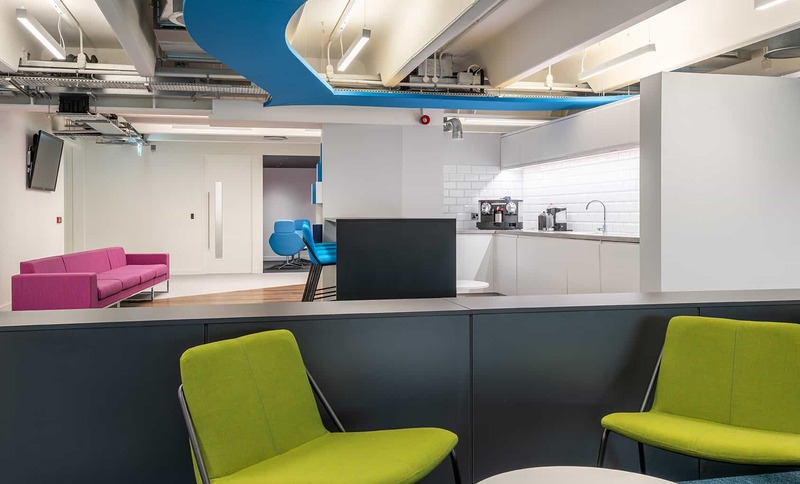 It was clear that the budget, look, feel and use of our space were always their main goals. 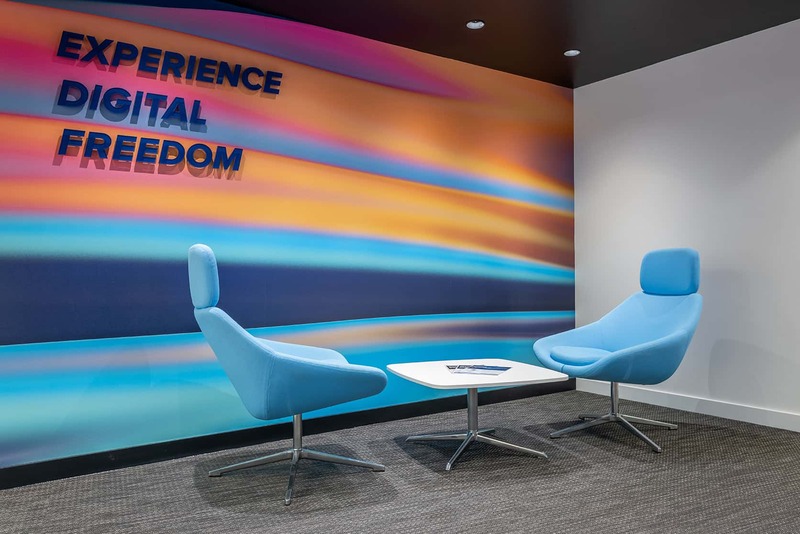 The designers were such a resource and guide with every detail, big and small. 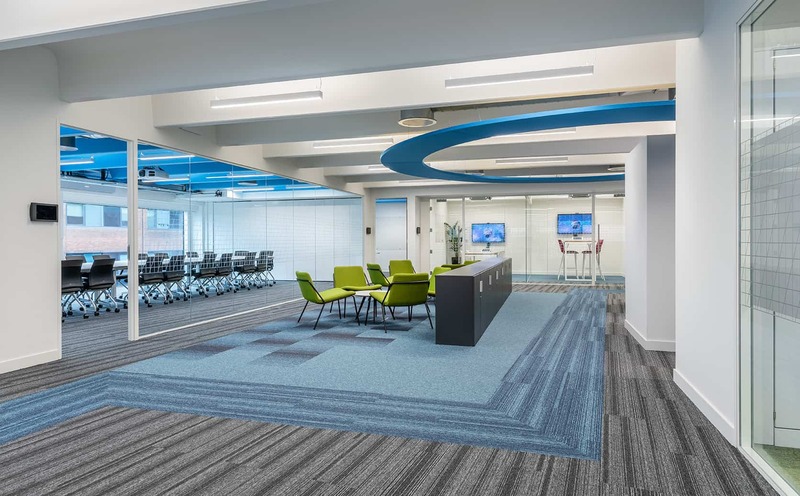 Once the project was in construction, the project manager was on hand to make sure we were pleased with the finished product.